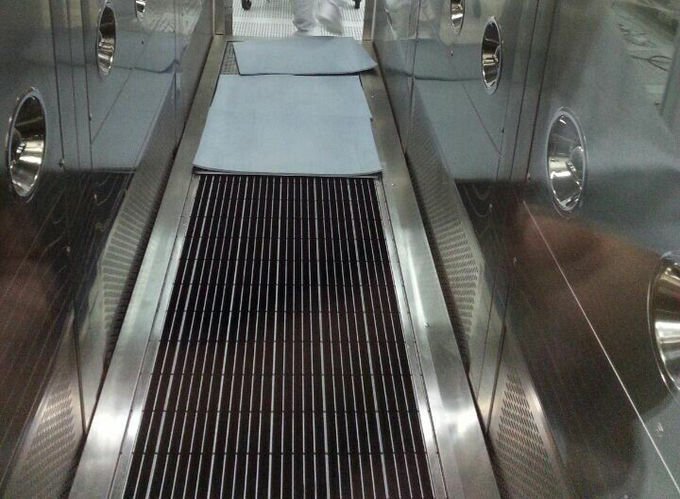 Sole Clean Machine is suitable for high clean requirement, a variety of environmental air shower, food plants, chemical industry and other higher places. Sole cleaning machine using a unique new polymer composite materials, adding detergent, disinfectant, direct clean soles, soles kill germs. 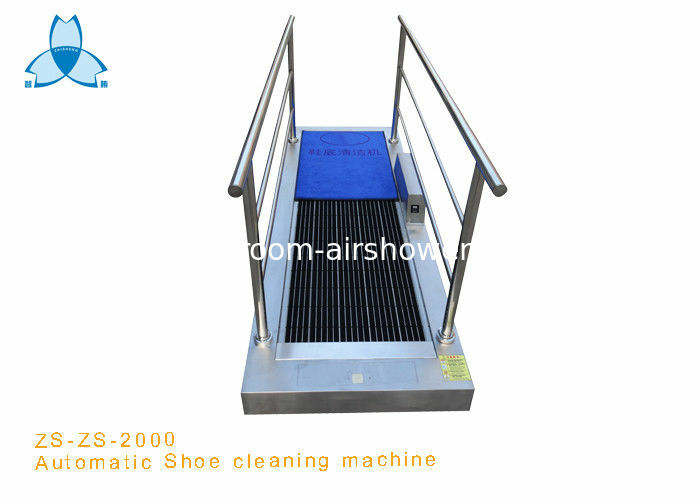 Extremely easy to use, only a few seconds, you can be the sole and side mud or dust pollution polished automatically cleared. Sole cleaning machines so simple on the lifting of the trouble, which is to ensure the health, but also eliminates the trouble of changing his shoes, but his shoes to avoid the embarrassment of some of the guests. Easy to use: after you walk through it, you shoes soles become clean. the thickness is only 120CM. Clean with special water spring system. Clean hygienically and comfortably shoe soles by an active brush surface. Cleans dry shoe soles with active brush surface. Made with stainless steel 304. Able to clean all types of shoe soles. The brush belts are made from durable nylon brushes, especially designed for applications with water and detergent. Designed for a long life time, stable construction. 1. when a person enters the radar sensor area, sole cleaning machines work automatically 3-6 seconds, when no one is automatically closed. 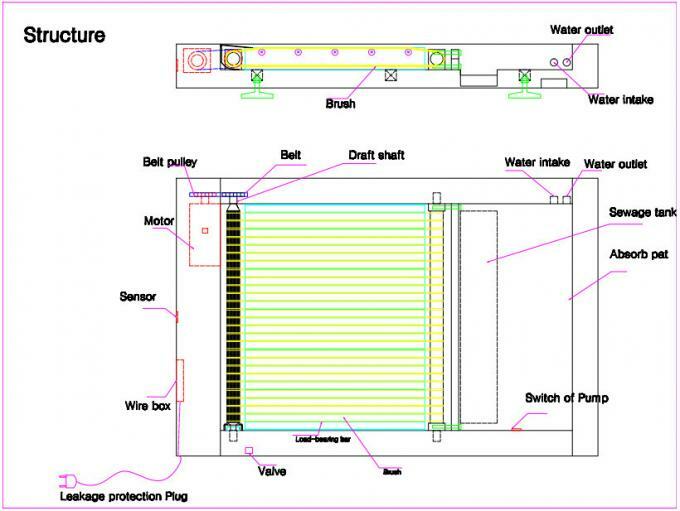 2. cleaning up litter: Open suction area network board, the pump automatically extracting water. Sole cleaning machine is suitable for clean room, home, office, laboratory, laboratories, computer rooms, television stations, hotels, studio and so on. In addition, the product also has a function for the sole disinfectant for hospitals, food plants, pharmaceutical plants, plant breeding and other special places.